SAN FRANCISCO, Calif. — Mar. 14, 2016 — AMD announced today at the 2016 Game Developer Conference that the company will underscore its dominance of the global virtual reality systems market. It revealed new advances in hardware and software to further the reach of VR, and unveiled its new GPU certified program that simplifies adoption of VR technology for consumers and content creators. AMD is also making VR more easily accessible to consumers and content creators with its GPU certified program featuring the new “Radeon VR Ready Premium” and “Radeon VR Ready Creator” tiers. Its forthcoming Polaris GPUs and award-winning AMD LiquidVR™ technology will simultaneously advance groundbreaking VR-optimized graphics. · Leading market share – AMD is powering the overwhelming majority of home entertainment VR systems around the world, with an estimated 83 percent market share. (1) This share is driven in part by AMD technology powering VR-capable game consoles installed in millions of homes globally. · Powering the premium VR headsets of 2016 – AMD is partnering with the Oculus Rift and HTC Vive Pre headset manufacturers to ensure the Radeon™ ecosystem is ready to take advantage of their hugely anticipated launches this year. 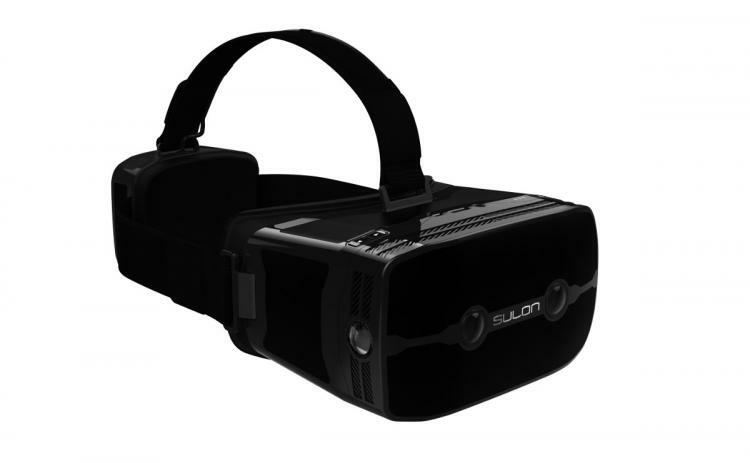 · Collaborating to develop new form factors – AMD is working with Sulon Technologies Inc. on the Sulon Q™ headset, the world’s first and only all-in-one, tether-free, “wear and play” headset for virtual reality, augmented reality, and spatial computing. 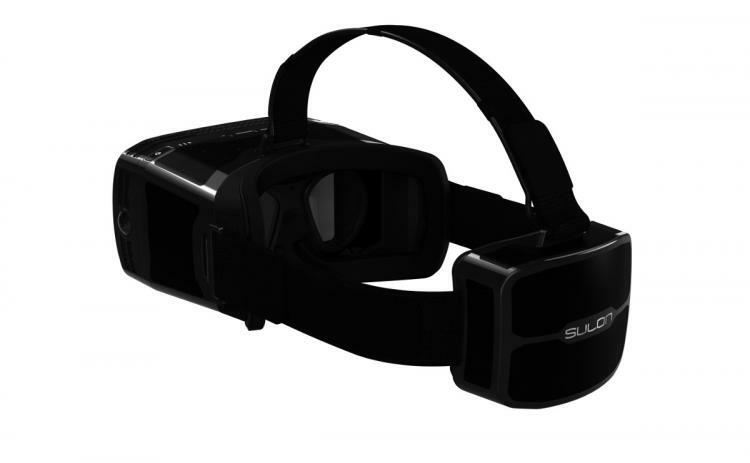 Powered by Radeon™ graphics and leveraging AMD’s LiquidVR™ technology for smooth and responsive AR and VR experiences, the Sulon Q™ headset allows users to effortlessly enhance the real world through augmented reality applications, and seamlessly transitions from the real world to virtual worlds. · Powering premium VR experiences beyond gaming – AMD is collaborating with leading organizations to illustrate the power of VR outside of gaming, working with companies in healthcare, entertainment, education, media, training and simulation, among others. AMD is already seeing fruits of the efforts in projects including General Electric’s “The Neuro VR Experience” experience simulating brain activity, The Smithsonian Museum’s “First: The Story of Orville and Wilbur” experience, and incredible storytelling in VR through a recently announced collaboration with the Associated Press. · Showcasing next-generation VR-optimized GPU hardware – AMD today demonstrated for the first time ever the company’s forthcoming Polaris 10 GPU running Valve’s Aperture Science Robot Repair demo powered by the HTC Vive Pre. The sample GPU features the recently announced Polaris GPU architecture designed for 14nm FinFET, optimized for DirectX® 12 and VR, and boasts significant architectural improvements over previous AMD architectures including HDR monitor support, industry-leading performance-per-watt (2), and AMD’s 4th generation Graphics Core Next (GCN) architecture. · Growing adoption of GPUOpen’s LiquidVR™ technology – AMD LiquidVR™ technology helps address obstacles in content, comfort and compatibility that together take the industry a step closer to true, life-like presence in VR games, applications and experiences. Today AMD LiquidVR™ technology is being used across the VR software stack by headset manufacturers, including Oculus, HTC, game engine developers and content creators. AMD will today announce its new GPU certified program for VR, allowing OEMs, system builders, and AIB partners to instantly communicate to consumers which certified Radeon™ products can be used to deliver exceptional VR experiences with the Oculus Rift and HTC Vive headsets. · “Radeon™ VR Ready Premium” solutions for exceptional VR experiences –Certified Radeon™ R9 290-class graphics cards and higher, and systems built using those cards, are now eligible for the “Radeon™ VR Ready Premium” seal. · “Radeon™ VR Ready Creator” solutions for VR professionals, experience designers, and developers –The “Radeon™ VR Ready Creator” seal signifies unprecedented performance and industry-leading innovation that empowers VR content creators and experience designers with incredibly powerful and capable development tools. Featuring an upcoming graphics card with AMD’s LiquidVR SDK (software developer kit), the “Radeon™ VR Ready Creator” designation signifies the ultimate performance for both content creation and consumption for VR professionals. (2). The next-gen Polaris architecture-based GPU Engineering Sample delivers up to 2X performance per watt compared to GeForce GTX 950. Testing conducted by AMD Performance Labs as of December 2015 with an Intel Core i7 4790K at 80% power limit with 4x4GB DDR3 memory at 1600Mhz and 120GB SSD. Tested systems used off-the shelf power meters that measured system power consumption at the plug. PC manufacturers may vary configuration yielding different results. Star Wars™ Battlefront™ was tested on the X-wing Training Map using FRAPs. The Polaris architecture-based engineering sample on Med Preset @1080p scored 60 fps and consumed 86W with driver 15.30 beta. The GTX 950 card on Med Preset @1080p scored 60 fps and consumed 140W with driver 358.87.